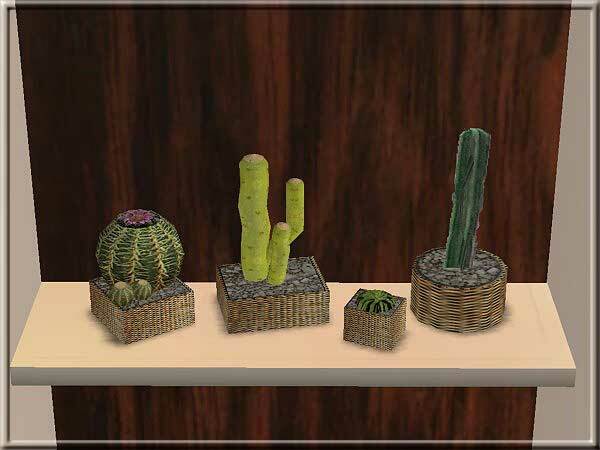 Description: A variety of indoor cactuses. 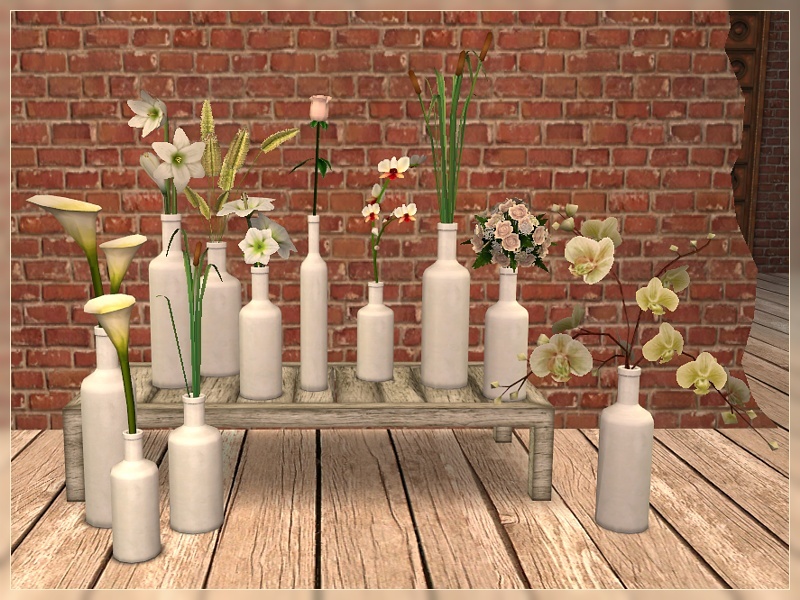 Description: Cute jars with roses. 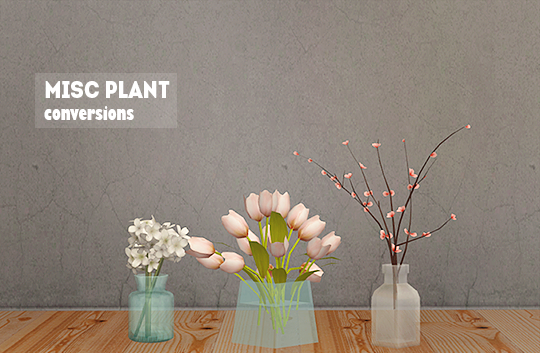 Description: A set of various flowers and plants. 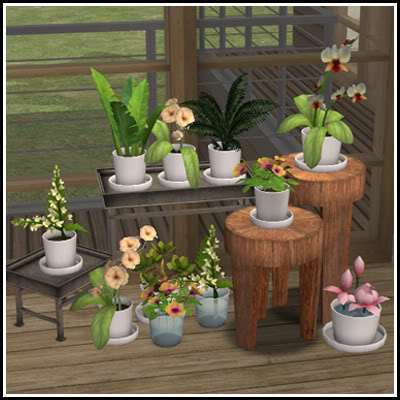 Description: buggybooz's s Planters Revisited and Verdant Velvet sets updated: fifteen pots are repositoried to BB_planter2large and their original textures are now recolours of the master. 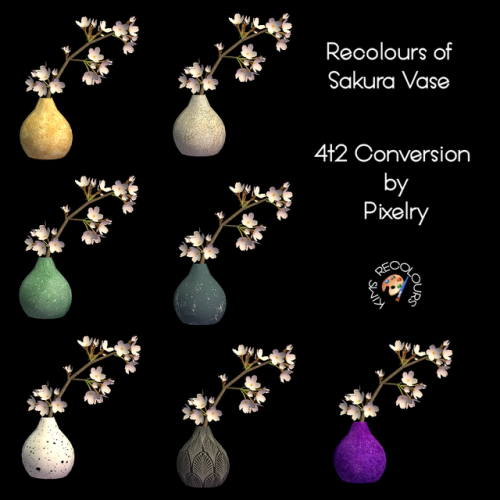 Recolours and retextures included. 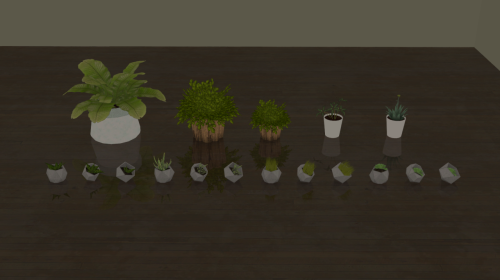 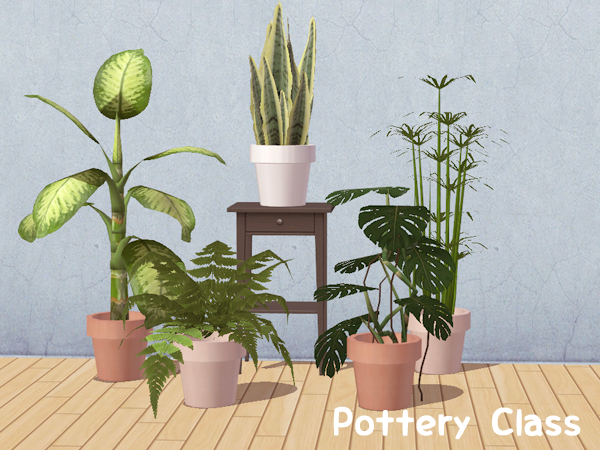 Description: Plants converted from The Sims 4. 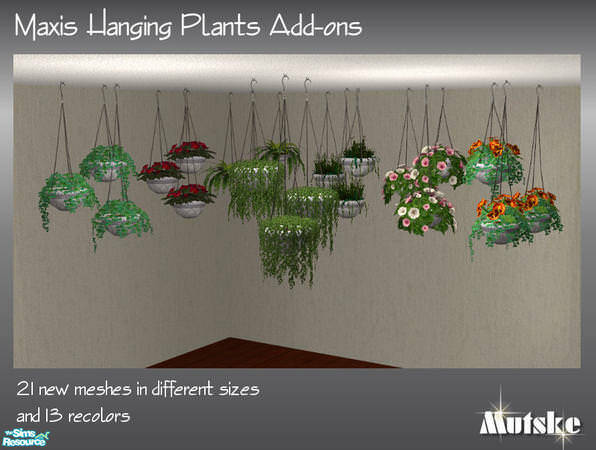 Description: Maxis hanging plants add-ons. 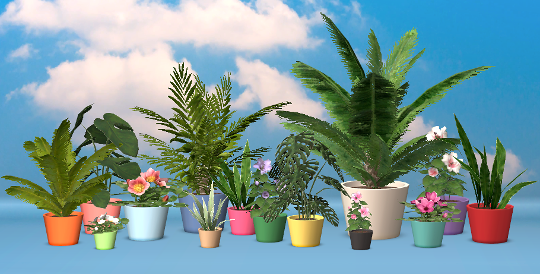 21 new meshes in different sizes and 13 recolours. 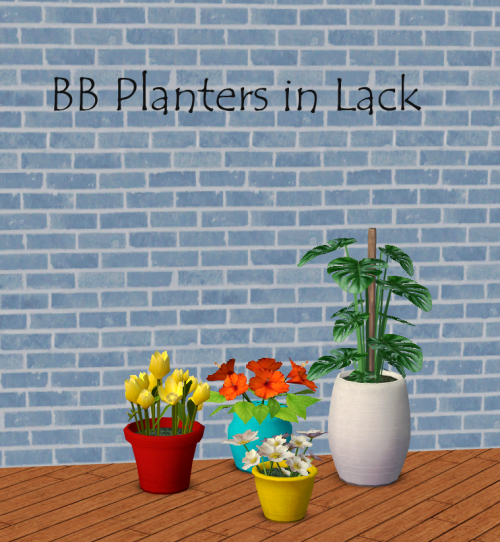 Description: BB Planters in LACK. 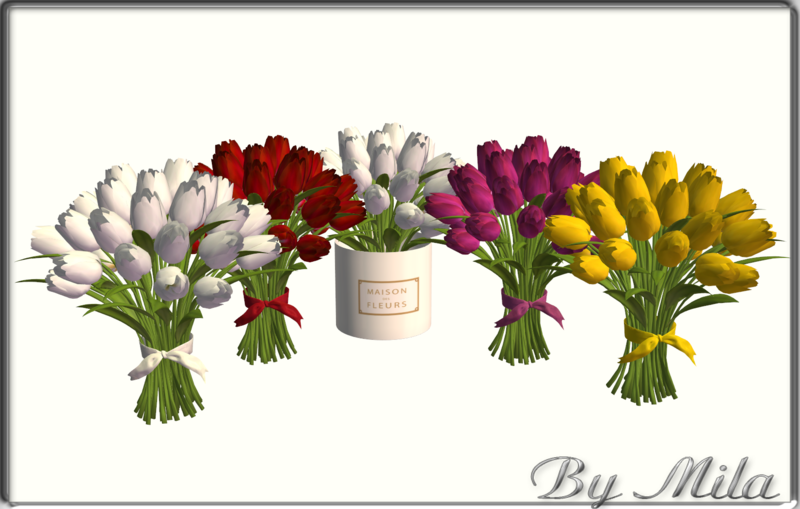 Description: Tulips in several colour options. 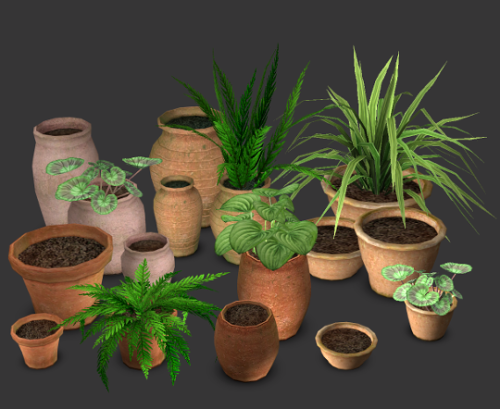 Description: Geometric and other green plants. 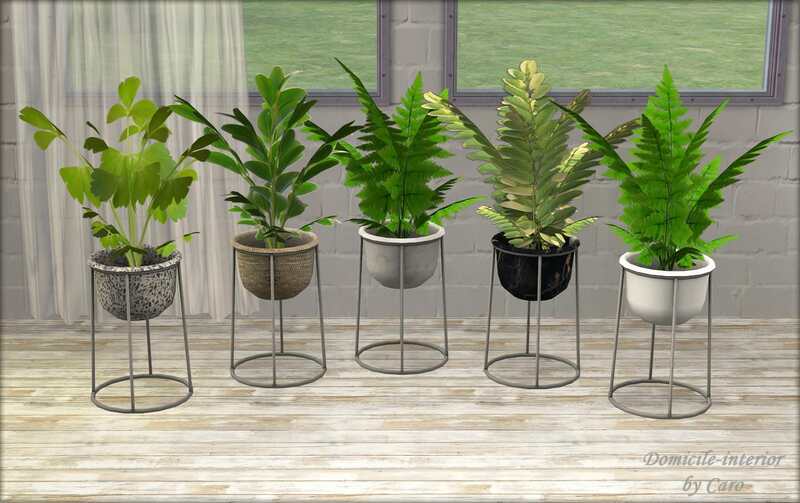 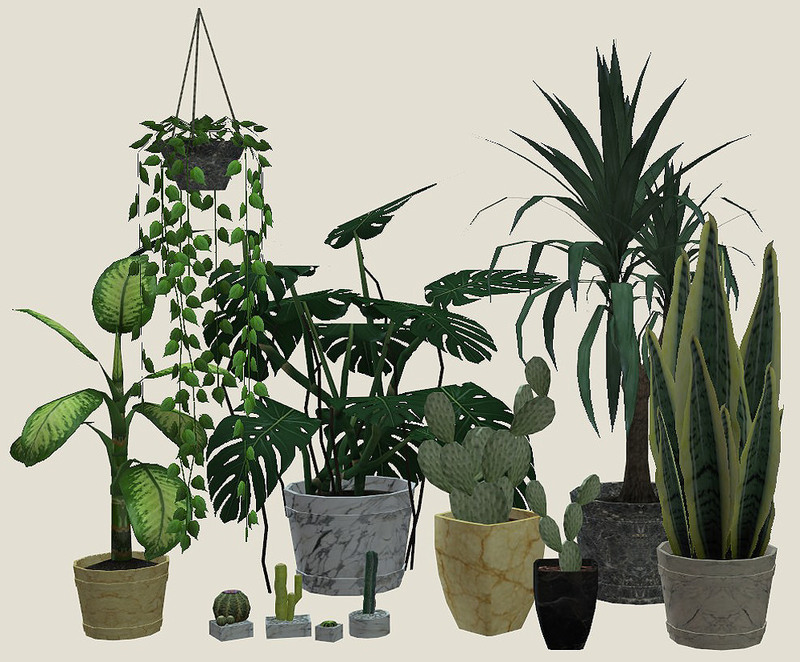 Description: Assorted green plants conversions and recolours. 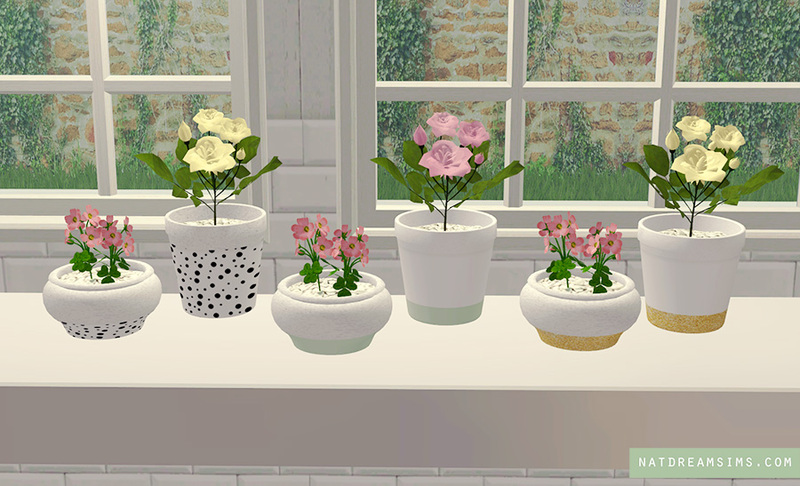 Description: Windowbox converted from the Sims 4. 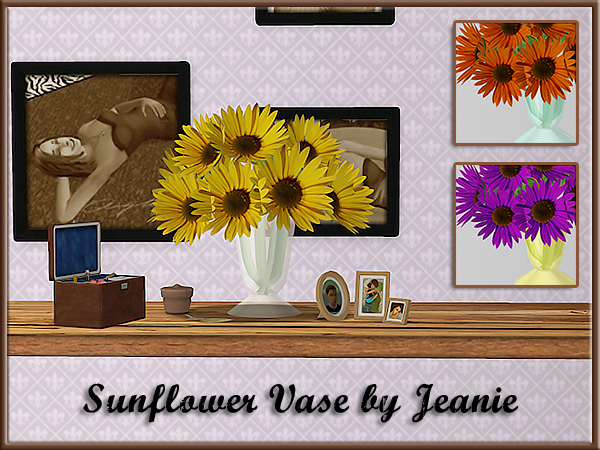 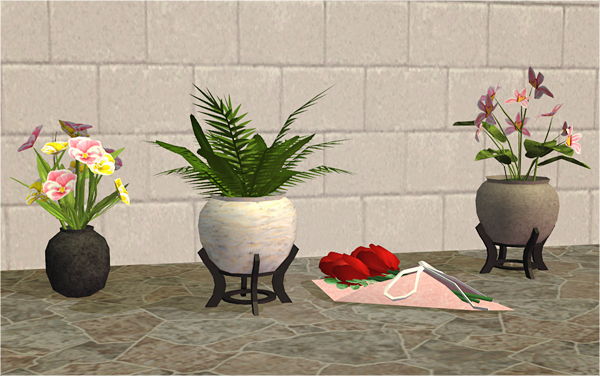 Description: Vases with Maxis flowers. 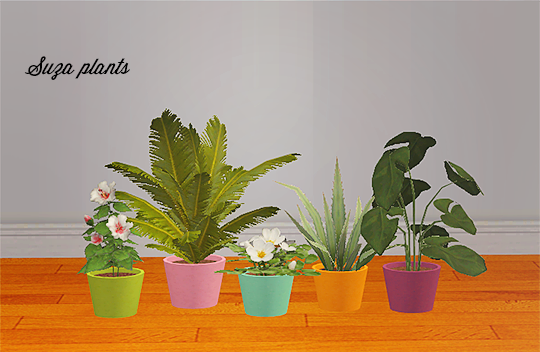 Description: Suza plants edited and converted.